This authenticated Sears Hillsboro in Edison Park was built in 1932. 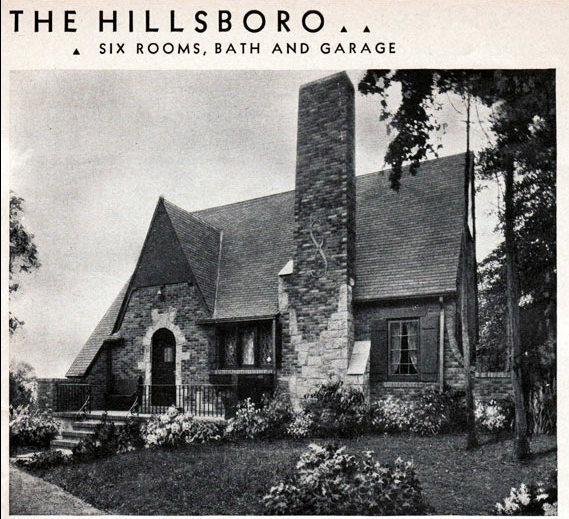 The architect of the Hillsboro was David S. Betcone, who designed many of the Sears models in the 1930's. You can distinguish a Hillsboro from similar homes by the terrace that runs across the front of the house, the attached garage in the back, and the unusual layout on the side of the house (bathroom window, hallway window, door). 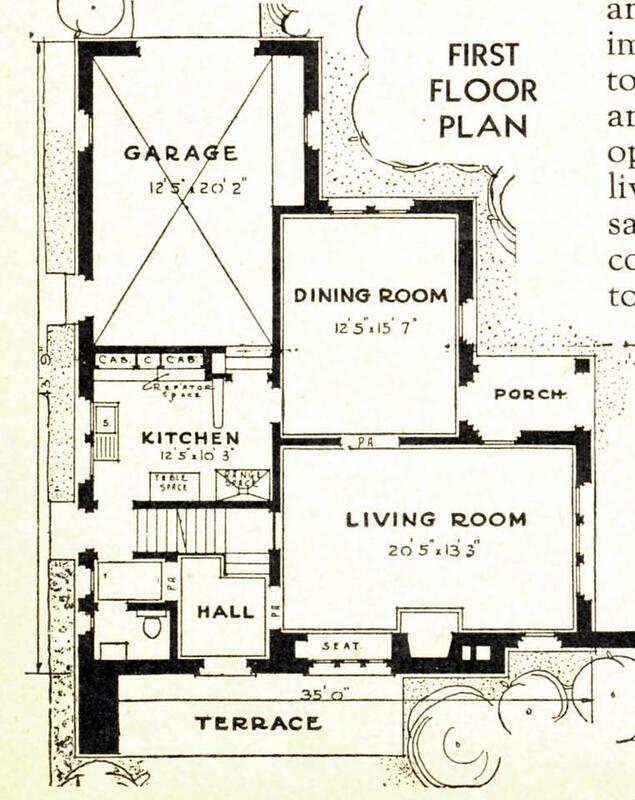 The original owners of the house were Matt Kandle and his wife, Harriet. Matt worked as a foreman at R.R. Donnelley & Sons. Matt built the house himself, according to his great-grandson Kirk Kandle. Matt was a "stickler for quality and precision," according to Kirk. Matt liked the idea of buying a kit house from Sears because he could specify every option he wanted down to the smallest detail. Matt was also an inventor and he enjoyed learning new things. In 1932, Kodak introduced the Standard 8 home movie camera, and Matt borrowed the camera from his employer. He took movies of the family at home, vacations, skits, and he even shot footage of the Sears house being built. Matt also took a movie of one of the most controversial moments in sports history. Matt and his daughter Gladys went to Wrigley Field on Oct. 1, 1932, to see Game 3 of the World Series between the New York Yankees and the Chicago Cubs. He brought the camera. Matt was seated about 15 rows behind third base. In the fifth inning, Babe Ruth of the Yankees came up to bat and gestured to the outfield. Purportedly he was indicating that he was about to hit a home run into center field, which he subsequently did. Ruth's "Called Shot" has become legend and Matt captured it on film. This is a still photo from the film shot by Matt Kandle in 1932. Photo copyright is owned by Kirk M. Kandle. 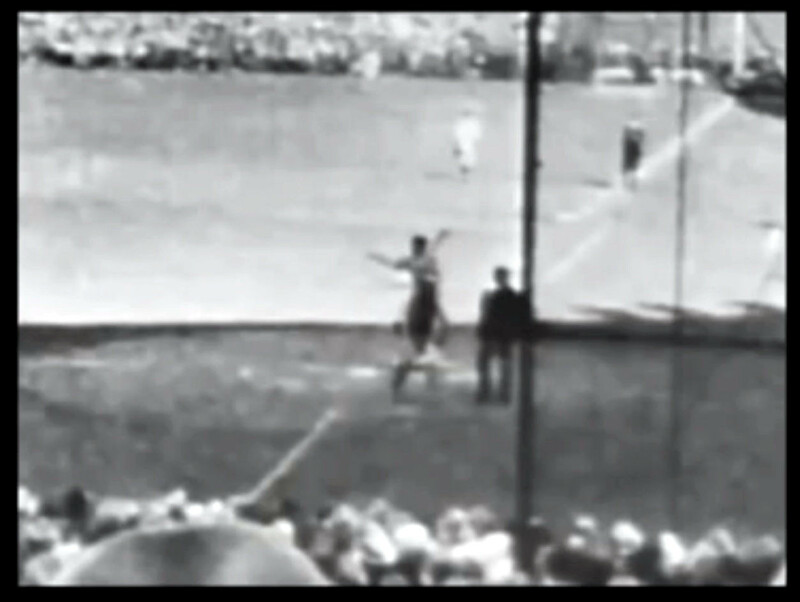 The film did not put to rest the controversy over whether or not Ruth actually called the shot or made another gesture to the fans or the dugout; however, it is a celebrated piece of baseball history and is rare footage of Ruth actually playing and taking strikes (unlike newsreel highlights). The Yankees won that third game, and the next day they secured the championship. The film was stored in a cardboard box in the basement of the Sears Hillsboro for many years. Somehow it stayed intact and was not thrown out. Kirk now owns the valuable film and keeps it in a safety deposit box. Matt died in 1951. Harriet sold the house soon afterwards and moved to an apartment. These Hillsboro posts of yours are great, Lara! I somehow missed this one, but the story is wonderful . I'm all about the Hillsboro, now, since I discovered that one (via mortgage) in St. Louis (city--the Saint Louis Hills area )- Cindy helped with the ID.